Learn how to facilitate using the LEGO® SERIOUS PLAY® methodology with the training used by LEGO® themselves. Become certified in Level 1 (individual builds) and Level 2 (shared build) skills in a small group of like minded participants. 2 full days of input and hands on practice that includes time with real participants – equipping you to use the tool in the real world. Join the growing network of SeriousWork facilitators spanning global organisations and freelance practitioners. Sean Blair is an IAF award winning facilitator who is certified in LEGO® SERIOUS PLAY® and has run hundreds of workshops with clients ranging from global organisations and small start ups. As co-author of SeriousWork (the only ‘how to’ book on the method) Sean has brought his experience to life, and created a new training methodology with participation and gradate success at its heart. 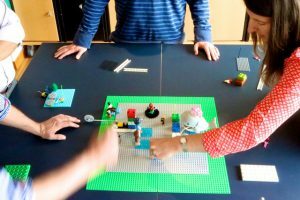 SeriousWork uses expert facilitators to train others in LEGO® SERIOUS PLAY®. 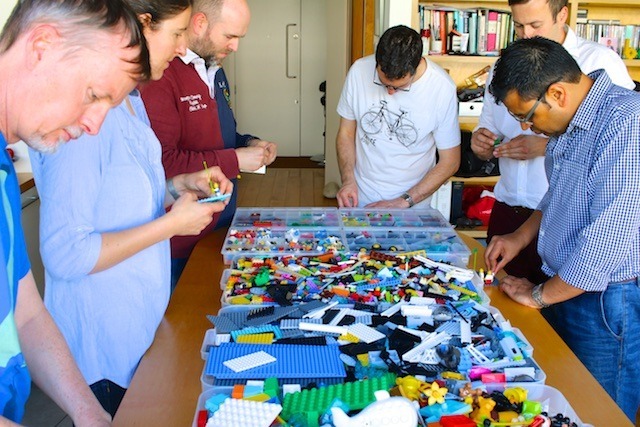 We specialise in gathering small, high quality groups of learners, and equipping them with the knowledge and experience they need to use LEGO® SERIOUS PLAY® in their work. Once qualified, our graduates have access to a range of opportunities to grow their skills with like-minded peers.